In 2002, the Frisco City Council passed a Percent for Art ordinance establishing Frisco&apos;s Public Art Program. A percentage of Capital Project Funds are used to commission public art that can be enjoyed by the public. The mission of the City of Frisco Public Art Program is to enrich Frisco’s artistic vitality and cultural vibrancy by bringing dynamic contemporary art to a broad audience of residents and visitors. The Public Art Program seeks to assemble a cohesive collection that offers the public powerful experiences with art and the urban environment, and that encourages public dialogue, understanding and enjoyment of public art. 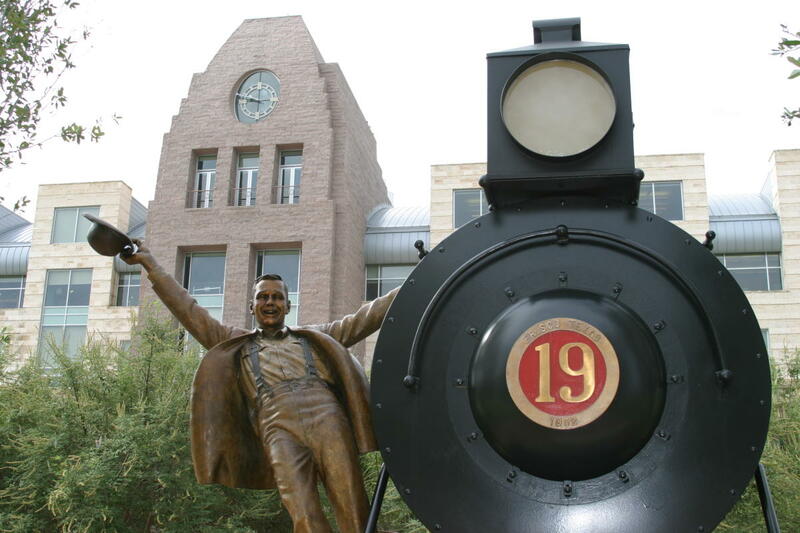 Featuring more than 60 pieces, Frisco’s Public Art Collection is one of the largest municipal collections in North Texas and includes a variety of sculptures, paintings and photography. The program also is responsible for the biannual Art in the Atrium exhibition in Frisco’s George A. Purefoy Municipal Center. Twice a year, Frisco’s Public Art Program makes calls for artists&apos; work to be included in Art in the Atrium. This exhibition series features 2-Dimensional works of art by North Texas , which are exhibited on all five floors of the Municipal Center for approximately six months. This is an ideal opportunity for artists eager to share their artwork and vision with the community. Art in the Atrium is open to the public at no charge. The current exhibition features more than 65 diverse works of art by professional and novice artists..
View a list of Frisco’s Public Art Collection below or here.